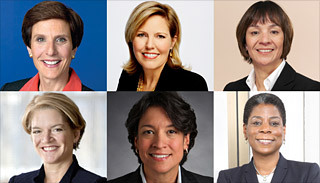 Fortune has released their annual 50 Most Powerful Women in Business List. Boardroom battles and power plays shaped this year's U.S. list, which boasts eight new faces and a new Number 1. The list is compiled by Fortune editors, who consider four criteria: "the size and importance of the woman’s business in the global economy, the health and direction of the business, the arc of the woman’s career (resume and runway ahead), and societal and cultural influence." How many of these powerful women do you think have participated in Girl Scouting?